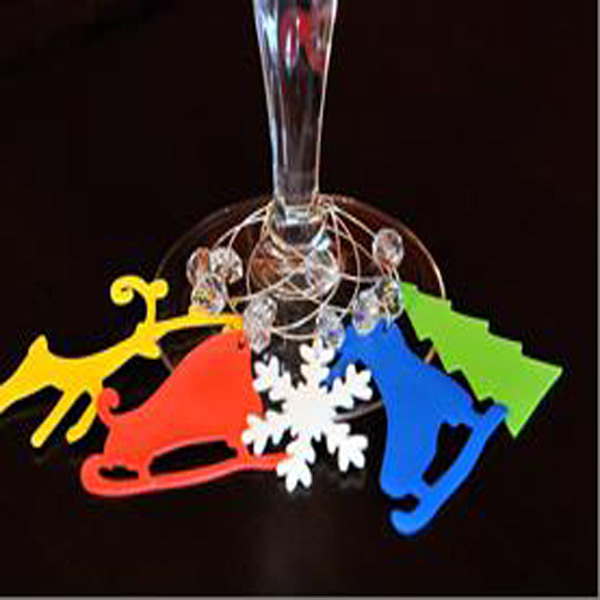 Project Description: A fun & stylish way to identify your guests’ glasses for a holiday gathering! Note: Cut Shrink Film with traditional die cut machines. 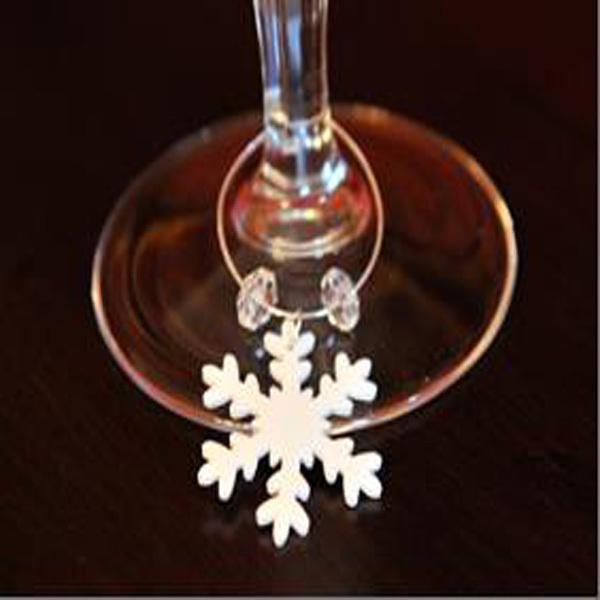 Embellish charms with permanent markers, glitter, adhesive gems, rubberstamps and more! Size charm design on Cricut to approximately 2x desired size. Install the deep cut blade in Cricut to get a clean cut through the Shrink Film. Set blade depth to 6 and use the multi cut feature (2 times). Punch hole in Shrink Film pieces prior to baking. Bake Shrink Film according to manufacturer’s instructions. Attach charm to jump ring. Cut 4” of jewelry wire and add beads and charms to wire. Form loop at ends of wire to secure to base of glass.